I need some designs of my product. 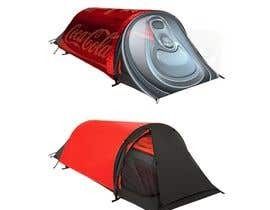 It is a tent that's shaped and looks like a can of coke. The ring pull is the door to the tent. 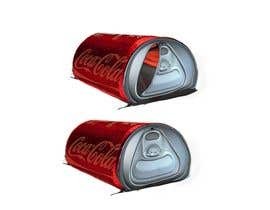 It needs to look like a can of cola. On its side. 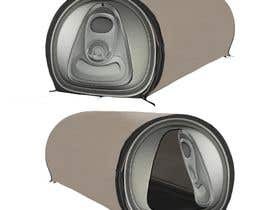 With a tent flap opening st the front. Strings holding it down too.